Under the new provision in the defence policy, if the federal parliament adopts, the Prime Minister can mobilize the Nepal Army by bypassing the National Defence Council. Observers suspect, this provision may lead the PM to become a dictator. Another report states that all the infrastructural projects above 25 billion rupees will remain under the National Investment Board chaired by the PM. This provision will empower the PM but the concerned ministries will become jobless or they will deal on small projects only. Already, the PM has brought the National Investigation Department belonging to the Home Ministry under the PMO. Now, the Revenue Investigation Department under the Finance Ministry has also gone under the PMO. Can a PM look after all these organs alone, it is a burning question. Already, the PM is the ceremonial head of different three dozen institutions including the universities, academies, etc. The National Investment Board’s meetings are not taking place on time due to the busy schedule or the illness of the PM. In such a scenario, is it wise to centralize further power? The PM’s job had to be to give business to his cabinet members and to monitor their works. If the PM alone wants to do all the works alone and perhaps with the support of those nominated advisors – who are neither elected by the people nor have taken oath of office – question can be raised on PMO’s credibility and there is high chance of the PM becoming failure in all fronts. Why the PM is holding the post of ceremonial chief of so many institutions, one cannot understand. Perhaps, the PM doesn’t know the names of the institutions he is heading. As these institutions have not been able to get time from the PM, they have not been unable to take timely decision in many cases. It would be wise if the PM have had decentralized the power to his cabinet ministers. Particularly talking about PM KP Sharma Oli, he is not a healthy person. The medical team attending him has warned for not doing hard works. Restlessness is dangerous for him, they have prescribed. Then why the PM is willing to enjoy more power? Whether he is practicing the totalitarian path in the name of “loktantra” and socialism! The government is all set to host the third investment summit in Kathmandu after demise of the Panchayat era. Noted businessman, NC MP and the only Nepali billionaire included in the Forbes list, has suggested the government that earlier to organizing such a summit and introducing foreign investment law in a hest, it should review on hurdles for attracting foreign direct investment. Earlier too, the government had organised investment summits in Kathmandu, however, the result was discouraging. Without developing investment friendly environment, the government is hosting the third summit of its kind. Many business observers have remarked that the upcoming summit may also face the same fate like in the past summits. In the global context, Nepal is a small market for foreign investors. 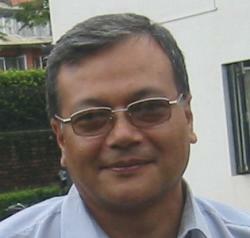 May be, for the Indian investors, Nepal could be the fertile land for investment. However, the Indian joint ventures have swept away Nepali investors. For example, the Unilever Nepal, a Nepal-India joint-venture company is distributing highest amount of bonus to its shareholders. This company is producing different items including tooth-brush, tooth-paste, soap, among others. Earlier to arrival of this joint-venture company, Nepal was self-reliant on soap, tooth-past and tooth-brush production. 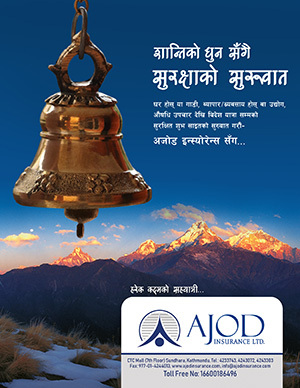 Nepali small investors were disappeared after arrival of this joint-venture. The multinational company was found publishing and telecasting advertisement claiming that the soaps produced by the locals were mixing cow-fat. This propaganda destroyed the market of local, or say, domestically produced soaps without rappers. After arrival of the Indian cigarette factory, Surya Tobacco, the country’s largest taxpaying government undertaking Janakpur Cigarette Factory was collapsed. One can assume, how the foreign investment has abducted self-ownership/employment of the small Nepali investors! Now, the government is planning to invite Indian milk product giant Amul and Patanjali. If these large scale investors will enter in the Nepali market, they will obviously sweep away thousands of small farmers engaged in milk producing business. The government should not forget its duty to protect national industrialists and professionals. The entire economy should not be under the control of the foreign investors. Therefore, first of all, the government should identify the areas for foreign direct investment. Yes, we should accept FDI in infrastructural sector but not in agricultural and small scale investment sectors.